So been there... so done that... so what? 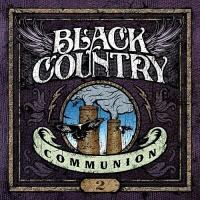 Black Country Communion fills a void in contemporary heavy music. The band plays the kind of soul-based boogie brought to life by the likes of Deep Purple and, sure, Led Zeppelin. It’s fitting, of course, that the group includes Jason Bonham (genetically linked to LZ) and former Deep Purpler Glenn Hughes. Ex-Dream Theater keyboardist Derek Sherinian makes us feel the presence of the (Jon) Lord and guitarist Joe Bonamassa proves that if you think he’s criminally overrated you might perhaps need to think again. It’s retread music, purely, simply, unapologetically. So what? If you can top “Man In The Middle”, “I Can See Your Spirit”, or “Save Me”, please do. Otherwise, shut up and let BCC do the talking. Long may BCC run.